Steve’s breakdown: Bankruptcy will be a thing of the past for the legendary guitar company on Nov. 1. That’s right, Gibson will also have a new CEO, CMO, CFO & CPO. So, if you know how to play, it’s time to step up to the mic and call these boys!! 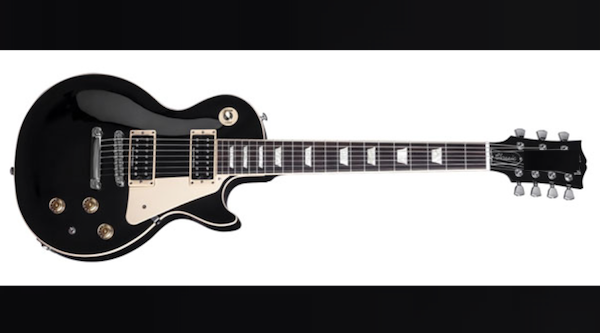 NASHVILLE, TN: Gibson Brands has announced a slew of executive appointments as the iconic guitar maker looks to emerge from bankruptcy protection in a little over two weeks. Joining as president and CEO is James “JC” Curleigh, previously the president of Levi Strauss & Co. Gibson also announced Cesar Gueikian as chief marketing officer, Kim Mattoon as chief financial officer and Christian Schmitz as chief production officer. The new-look senior team will officially join Gibson on Nov. 1, when global investment firm Kohlberg Kravis Roberts & Co (KKR) assumes majority ownership control of the company, ending its bankruptcy as part of a plan approved less than a month ago. Curleigh and his team will work to reinforce Gibson’s status as a maker of sought after instruments, plus develop new partnerships and growth opportunities “across the core business of guitars and beyond,” the company said. In Curleigh, Gibson has chosen someone who helped guide another once-ailing American brand, Levi’s, through a major resurgence, growing the business profitably every year under his leadership. Prior to Levi’s, he was president and CEO of KEEN Footwear and of the ski company Salomon Sports. He will be replacing Henry Juszkiewicz in the top role at Gibson. Gueikian joins Gibson as CMO, overseeing product and its evolution, commercial solutions and marketing strategies. Previously, he founded the private lending firm Melody Capital Management. He has also held senior roles at UBS, Merrill Lynch and Deutsche Bank. “As a business person, a musician and lifelong fan of the craftsmanship and quality of Gibson guitars, I am thrilled to help shape the future of a company whose instruments have influenced my life and the sound of music globally,” he said. New financial chief Mattoon joins Gibson from Richemont North America, where she served as COO. “With our strong financial position and clean balance sheet, we have an opportunity to build on and expand Gibson’s core guitar business as the company moves into this next chapter,” she said. Schmitz, the new chief production officer, arrives from KKR Capstone, where he has worked as a member of the transition team at Gibson. “Having worked with the Gibson team for the past year, I am confident we can continue to turn our production focus into a competitive advantage for Gibson,” said Schmitz. Gibson initially filed for Chapter 11 bankruptcy in May, with a reorganization plan already in place to allow them to keep operating with $135 million of lent money. Earlier this month the U.S. Bankruptcy Court approved Gibson’s plan to wipe its $500 million of debt and use as much as $70 million to spur its business plan.